Many were wondering what’s the daily countdown in Facebook all about. Well, it’s about counting down the day for me to move house. Where am I staying now? Where am I moving to? 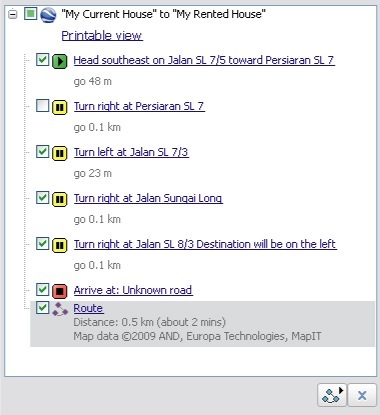 I am moving to Bandar Sungai Long also! How far is my current house to the house I am moving to? How get from my current house to the house I am moving into? 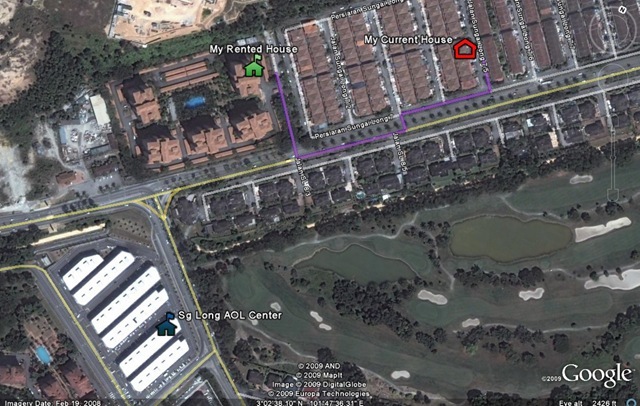 Notice that Google Map measures that it’s only 0.5km (about 2 mins drive) from my current house to the house I am moving into – and I need to pay about RM250 to hire house mover to move all my things!!! 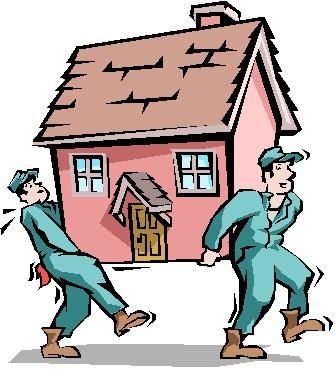 STAY TUNED NEXT WEEK TO KNOW THE DETAILS OF MY HOUSE MOVING EXPERIENCE…. Next Entry: Should We Use Twitter During Church?